I am back with another card made with Graciellie Design's March release. For today's card I colored the printed image with grey copic markers to give depth and to keep the flower white. For the card base I took a white card stock and inked different shades of blue on one side with Altenew Inks and splattered white gesso and black paint. I added a black glitter washi tape on one side of my card base and adhered the inked panel. I arranged the flowers with foam tape. I printed a butterfly from the 'Butterflies' stamp set and colored it with copics. I added foam tape for 3 dimension effect. 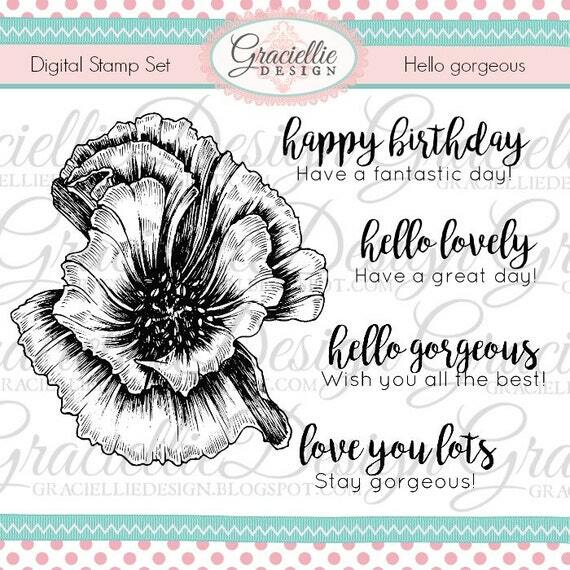 Graciellie Design is having a blog hop with Paper Temptress and few of our DT members are showcasing their products. Don't forget to check their blogs and we do have prizes to be won. So hop away and leave some love as you go. Don't forget to add code : GAYATRI10 when you check out on the etsy shop. Till next time - Happy Crafting!! I want to share my first mixed media layout,which I did last year, for a blog hop by Mudra Stamps and Papericious. The flowers are linen Blooms from Mudra stamps and the focal sentiment is also from Mudra stamps. The paper is from Papericious. I added few mdf and die cuts and pollen sticks. Hope liked my creation. Thank you for stopping by. Today is a pictorial walk through a wedding album I made and also a video of it. The papers I used are from Bob n Betty, wired organza ribbon from Meraki cards. The flowers are all hand made - I have used Cheery Lynn dies, Heartfelt Creation Classic Rose die. The album is 9" x 9" and has 6 pocket pages. I used Hidden Hinge by Kathy Orta for hinges. All the pockets with pull out photo mat. I used the cameo to cut the names and tags for jounalling. Today I am sharing a special card made for a wedding. The request was for red and yellow roses. I have used 'Roses all Around' paper stack from Bob N Betty. I layered the card with various die cuts. Roses and filler flowers are hand made using HFC Classic Rose die. I have added Sparkling Dust from Dress My craft, but the glitter is not well caught in the camera. I added few grapevine die cuts from HFC collection. I arranged the flowers in an arch and added the focus die cut of the couple. I added few foam tapes for the 3D effect. I die cut heart frames from gold CS and interlocked them. Stamped and added the sentiment. Hope you liked my card. Do leave your comments below since they matter a lot to me and keeps me motivated. Till next time - Happy crafting! 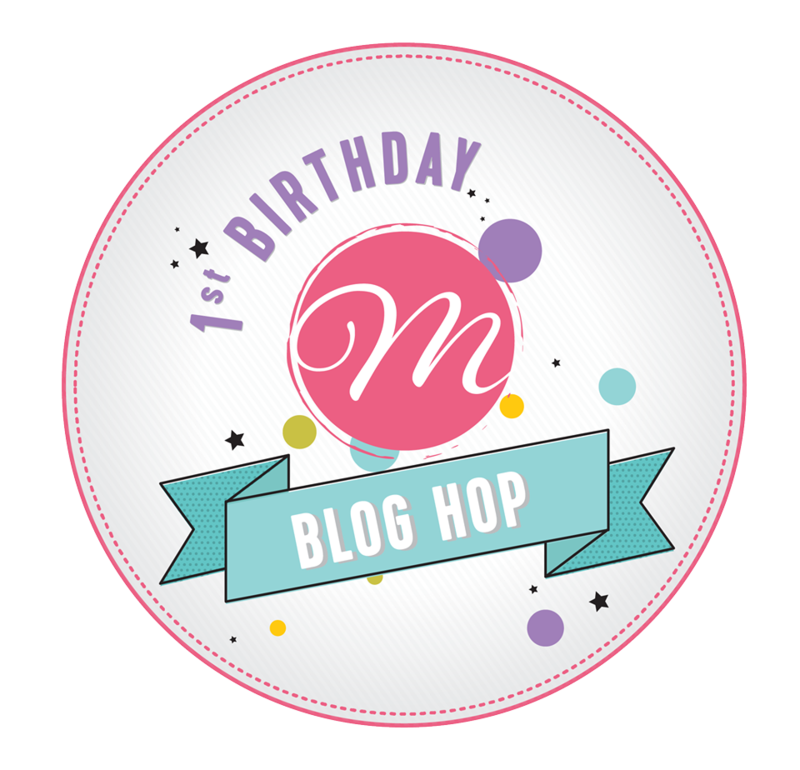 Mudra First Birthday Blog Hop. It is indeed a pleasure and an honor to be part blog hop in connection with Mudra's first birthday celebrations. I am proud that I was part of Mudra's launch Design Team. Mudra has come a long way and it is indeed amazing to see the versatility of the stamps brought out by them. The quality of the stamps and the sharp image is at par with any International stamps. So as part First birthday celebrations, Mudra Stamps has a lot of fun lined up for you all. Participate, follow the rules and stand a chance to win some cool prizes. - Visit all the designer's blog hop post and leave them some love. - After finishing the blog hop, add your name in the inlinkz in Mudra Blog Hop Post. 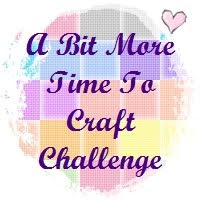 To celebrate, Mudra is giving away a beautiful pack of crafting supplies from Mudra to 1 WINNER, selected from the comments across all of the blogs in the hop. You have until Wednesday, March 15th at 11:59 PM IST to enter, and the winners will be announced here on Monday, March 20th. One Additional Goodie Bag to a random participant sponsored by The Craft Shop, Chennai. And the cherry on top of the cake is that few of our designers in the hop also have giveaways. So make sure to check and leave your comments in all the blogs in this blog hop. If you have come from Pon Malar , then you are on right track. You can check the complete list from Mudra blog. Now coming to my inspiration, I have used the 'Stay Magical' stamp set of February release. 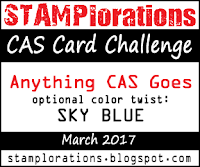 I stamped the rainbow with clouds stamp on the base card and colored it with Copics. I used a cloud die cut and used DI, to create cloud effect on the back ground. I used an inverted scallop frame die cut for the window. Added foam tapes under the frame. Used a blue card stock as a layer from which I cut out a window and stamped stars with white Hero Arts Ink. Stamped and colored the Unicorn with Copics and fussy cut it. Added sequins and assembled the card. Stamped the sentiment and added it on the frame. For this card, I stamped the unicorn images randomly on a white CS, with grey Altenew Ink. I stamped the main image and colored it with Copics and fussy cut it. I adhered the image with foam tape and added few purple colored sequins. I stamped the sentiment and layered it with black CS and adhered it on the panel which I stuck on a white card base. 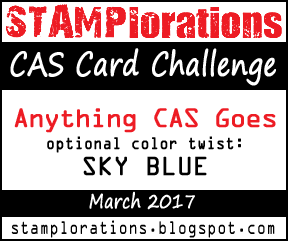 For this card I inked top part of a white card stock with different blue inks from Altenew to create a sky. I splattered white gesso on it. I layered two cloud die cuts, inked with blue inks. I stamped the images and colored them with Copics. Fussy cut the images. Adhered the images and added few sequins. I adhered the panel to a black CS. Hope you liked my cards. Till next time - Happy Crafting!